Most of the brands are doing the same thing in the market nowadays. You can see this trend everywhere ranging from virtual products to physical products. But there is still some uniqueness left in all brands. That’s what makes the decision hard while selecting brands for buying. So we have compiled a list of 11 best luggage brands from which you can choose your travel luggage and accessories. Rockland by Fox Luggage was founded in 1995. They are producing quality bags since then. It also recognized for its graphics and colorful designs. They manufacture Luggage sets of four piece, three piece and two piece, soft cases, hard cases, travel duffels, cosmetic duffels, rolling backpacks, carry-ons, etc. These products are travel resistant and also affordable. Few of the Rockland products were featured in movies and TV shows like The Internship (Movie), Gossip Girl (TV Show), The Guild (TV Show). Jesse Shwayder founded Samsonite in 1910. Samsonite comes in the average budget luggage brand which is why it is considered as best luggage brand for most people. It has many luggage catalogs which include hard and soft cases, carry-ons, luggage sets, etc. Samsonite luggage is regular to use for both individual and business. Delsey is French luggage brand founded in 1946. At the time, it was manufacturing leather camera cases now it manufactures one of the best luggage bags in the world. Delsey has lightweight bags for those who don’t want to carry heavy bags while traveling. Most of the Delsey luggage bags come in middle price range, and other can be slightly more expensive than that. Pierre Cardin was formed in 1950 by Pierre Cardin. It has adapted French standards and style for quality products. The products are made from the genuine soft Italian leather. It has the different catalog of bags for multiple occasions like computer bags, shoulder bags, etc. The price of the products can vary from average to expensive as quality. American Tourister is one of the largest luggage brands in the world. It was founded in 1933 by Sol Koffler in Providence, Rhode Island. American Tourister manufactures luggage bags which are priced from Entry level to costliest level. These luggage bags come in bright colors. There are also different designs of luggage bags for Marvel, Disney, and Star Wars Fans. Besides luggage bags, American Tourister also manufactures Luggage sets of four piece, three piece and two piece, Casual Backpacks, Locks, Tags, etc. Athalon was established in Denver, Colorado in 1973. At that time, each bags were designed and tested manually by Athalon employees. So for the product to pass the quality check, they have to be incredibly durable and must work correctly. Everything from the size and place of the pocket, shoulder straps and handles had to be perfect to pass the quality check. They had to be lightweight and water repellent. 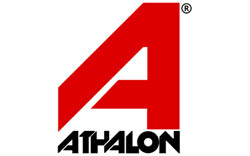 Today as of now Athalon manufactures bags for professional teams and other manufacturers. TravelPro was launched in 1987. Their bags are neither cheap nor expensive. These bags are frequently used by regular traveler and flight crew members. There are certain quality testing protocols which must be checked which include Zipper testing, Fabric tensile strength, and abrasion test, handles test, Wheel system roll test, temperature testing, water repellency test, etc. You can check out Review of Travelpro Maxlite 4 we did previously. Briggs & Riley is located in Hauppauge, New York and was founded in 1993 by Richard Costa. Briggs & Riley has various types of bags like carry-ons, backpacks, weekend bags, garment bags, business cases, checked luggage, toiletry bags, etc. The advantage of Briggs & Riley bags is The Lifetime Guarantee Policy. Simple as that® warranty policy covers all kind of damage including the ones caused by airlines. Ricardo Beverly Hills was founded in 1978 in Beverly Hills, CA by Richard Ricardo Gibbs. It has various types of bags like Rolling Bags and Totes, Duffle Bags, Totes and Handbags, Messenger Bags, etc. It also has luggage sets which come at affordable prices and various colors. Traveler’s Choice is manufacturing and distributing luggage and sports bags since 1984. It is located in located in Pomona, California, East of Los Angeles. Manufactured products of Traveler’s Choice range from polyester & ballistic nylon soft cases to ABS & polycarbonate hard cases. Some primary products of this brand are pilot cases, casual luggage, sports carry-ons, wheeled carry-ons, vertical and horizontal Pullmans. For Quality control products are checked for various factors like flexibility, strength, durability and visual tests. Anne Klein is associated with style in women’s clothing and accessories for over 40 years. Today, it brings the same level to their luggage line. Anne Klein has the full range of products available in Luggage, Duffle Bags, Handbags, Women’s business and laptop bags and accessories with classical styling. Anne Klein’s luggage collection comes in the variety of sizes to suit every travel. So that was our list of the best luggage brands you can find for your luggage bags. If you use any other brand and want to include it here, do let us know using the comment section below.